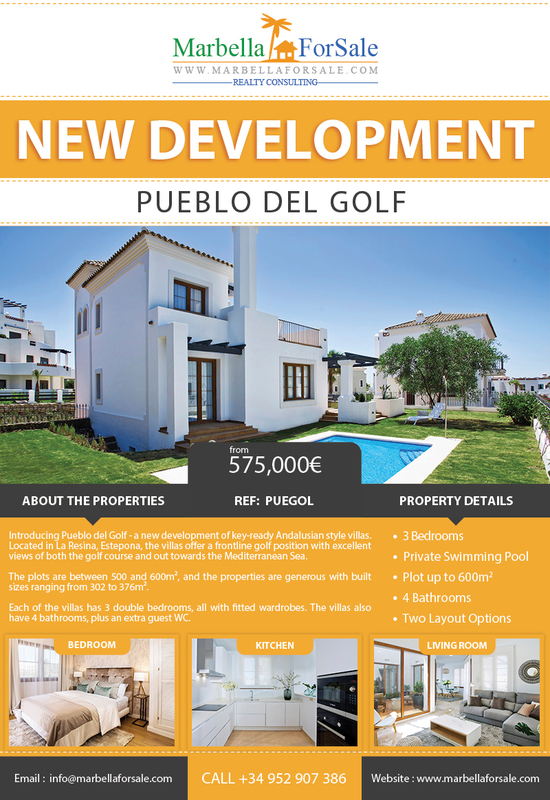 Introducing Pueblo del Golf – a new development of key-ready Andalusian style villas. Located in La Resina, Estepona, the villas offer a frontline golf position with excellent views. The properties are distributed over three floors, with a large basement and additional multipurpose room. There is also private underground parking, as well as lovely landscaped gardens which contain your private swimming pool!